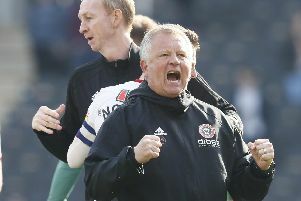 Neill Collins believes Sheffield United’s ability to win ugly could prove invaluable as the battle for Championship football enters a critical phase. The centre-half, who won promotions with Wolverhampton Wanderers, Leeds and Sunderland before arriving at Bramall Lane, warned teams lacking the ability to “grind out” results are likely the fall by the wayside when the top six places are decided in May. Despite scoring more goals than any other club in the competition this term, sixth-placed Peterborough head to Bramall Lane having won only one of their last four outings. Despite boasting the division’s fifth best attack, United manager Nigel Adkins has instructed his players to focus predominately on their defensive duties in recent weeks. The policy sees them enter the meeting with Graham Westley’s side searching for a fourth consecutive league victory.